The mission of Upward Bound is to assist low-income, first-generation, college-bound students in the successful completion of high school and prepare them academically and socially for post-secondary education. 4. Participate in Upward Bound’s services, including: after-school study hall (when available), Saturday College Prep/Study Hall, individual academic counseling sessions, special monthly activities, and community service. 5. Complete the six-week summer academic program. 1. Complete the Upward Bound [LINK] application. The application includes an application form, affidavit, questions, and two teacher recommendations. Students must obtain one recommendation from two of the following content areas: math, English, social studies, and . Students can choose teachers form the current academic year or the previous academic year. 2. Return the application packet to the Upward Bound Advisor at your school. Interviews will be scheduled upon receipt of the completed application packet. All students will be notified of their status regardless of the outcome. 2. Return the application packet to the Upward Bound Advisor at your school. Interviews will be scheduled upon receipt of the completed application packet. All students will be notified of their status regardless of the outcome. • Academic tutoring with individual and group sessions, in addition to homework assistance. • Monitoring of academic progress to maintain a college-bound track. • Individual counseling for academic or personal challenges. • Academic preparation training for college/university-level course work. • Opportunities to explore career options. • Access to academic and cultural activities. • Outlets for a variety of community involvement and service initiatives. • Assistance with enrollment-related items (admissions, financial aid and registration). • Assistance with financial aid and scholarship applications. Upward Bound students are committed to participate in the six-week summer residential academic program during June and July each year. The first three weeks of the summer program, students commute to campus. 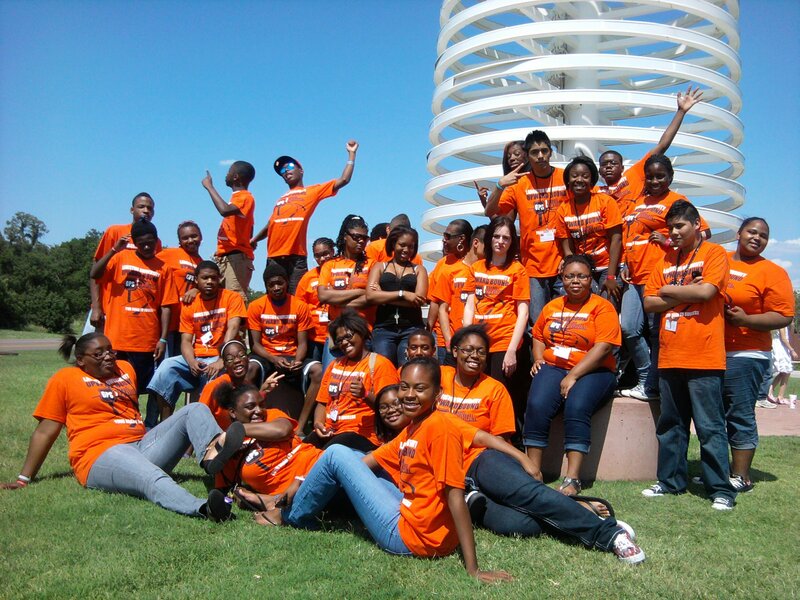 The remaining three weeks, Upward Bound students live on the Langston University campus and utilize university facilities such as classrooms, laboratories, gymnasium, computer labs, library, sports fields, the cafeteria, and residential facilities. During the day, instructors work with Upward Bound students individually to develop, design and implement academic classes focusing on subjects such as English, math, science, foreign language, and technology. After lunch, students and staff conduct and participate in focused group sessions such as team building, art and social skills. Evening activities include community service projects, physical education, social activities, and individual and group counseling. Residential Counselors (RCs) will live on campus with Upward Bound students and will facilitate evening activities to engage students educationally and socially. Upward Bound provides a bridge from high school to college for all senior students. The Bridge program begins during senior year with a retreat during which topics for college entrance are introduced and explored. During the academic year, Bridge students are guided through college admissions, registration, scholarships, financial aid, and academic skills building to ensure their success at entering and completing a post-secondary degree. Upon high school graduation, Bridge students are enrolled in college courses specifically designed to introduce them to the demands required for success in college. These courses are provided at no cost to students through the federal grant. The Program Coordinator provides academic counseling and preparation to ensure students are ready to enter into a post-secondary institution.